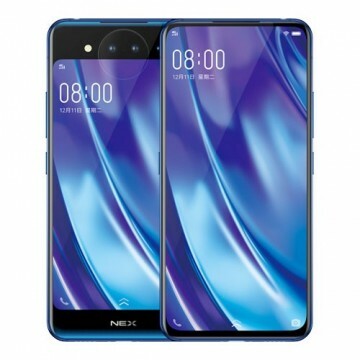 The VIVO NEX A is the first full screen Smartphone without a notch. 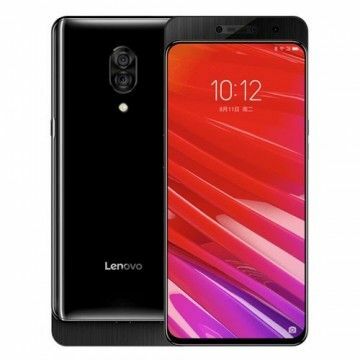 Equipped with an extendable 8 Megapixel Front camera, In Display Fingerprint reader, 6.59 Inch 19:9 Super AMOLED Display, 8GB RAM, 128GB ROM, Snapdragon 710, Dual Camera with 12 Megapixel Sony IMX363 F/1.8 and 5 Megapixel, Bluetooth 5.0, Android 8.1 and 4000 mAh Battery. The term "compromise" does not at all fit into the context of the Vivo Nex A. This is because the flagship of this manufacturer, which is still quite unknown in this country, relies exclusively on the best that the market has to offer. Equipped with the fastest processor currently available, a gigantic RAM and a high-resolution 6.59-inch display, the smartphone leaves nothing to be desired. There are also real innovations to marvel at. 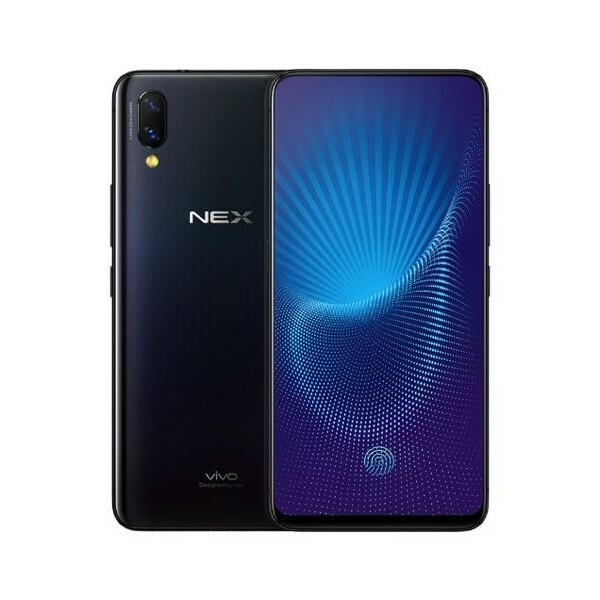 All in all, the Vivo Nex A offers a perfect package for all those who want to be satisfied with the best. The current trend is towards an increasingly large display with the same footprint. In other words, the front of the smartphone is increasingly dominated by the display. The Vivo Nex A is the crowning glory of this trend. A whopping 91.24% of the front is covered by the AMOLED Ultra FullView screen. The masterpiece of modern technology measures only 162 x 77 x 7.98 mm. The relatively high weight of 199 g is due to the outstanding features of the Vivo Nex A. Literally, the visual highlight is the integrated display, which has a size of 6.59 inches. 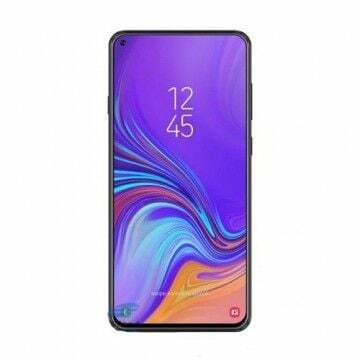 The screen presents itself with a modern aspect ratio of 19.3:9 and the potential of the AMOLED Ultra FullView Display is revealed when switching on. With a resolution of 1080 x 2316 pixels, the displayed digital content simply looks stunning. Despite the size of the display, a total pixel density of 388 ppi is offered. Due to the special screen technology, direct sunlight is no problem. The contents are clearly visible in every situation. The Vivo Nex also offers fast performance with good battery time. With clock speeds up to 2.2GHz, the Qualcomm Snapdragon 710 Octa Core will provide more than enough performance for future generations of apps. The CPU is supported by 8 GB RAM. Gamers, on the other hand, will be pleased with an efficient and powerful cpu, which can easily handle even modern 3D games. Good photos need a steady hand? Not with the Vivo Nex A. Both on the software and hardware side, the smartphone actively assists its user. With a 4-axis optical image stabilization, formidable snapshots can be taken with the main camera on the back of the housing. In addition, the AI intervenes with electronic image stabilization. Thus even hectic photo shoots can lead to razor-sharp results. At the same time, the artificial intelligence is able to recognize individual scenes and adapt all settings optimally to the situation. The hardware is also convincing. The dual camera offers a resolution of 12 and 5 megapixels. With the f/1.8 aperture and a powerful Sony IMX363 sensor, taking pictures in low light conditions is absolutely stunning. Away from current but well-known high-end components, the Vivo Nex A inspires with clever innovations. One is the 8 megapixel front camera. When it is not in use, it is hidden in the upper frame of the display. This is only opened when activated and is now available for snapshots. The fingerprint sensor is also hidden in the display. The Vivo Nex thus does without the characteristic appearance of the sensor in favour of a perfectly shaped and uninterrupted design. The front camera also provides face detection to unlock the smartphone. 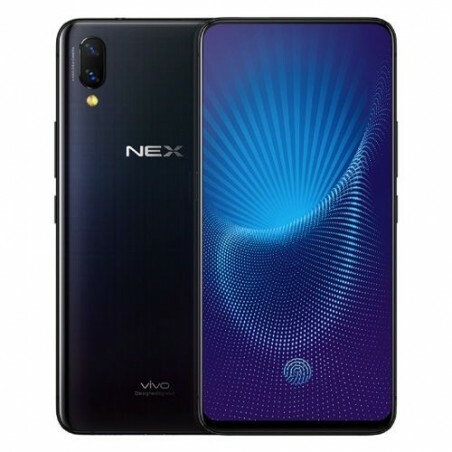 Apart from the big highlights and innovations, the Vivo Nex A naturally offers the usual equipment of a top-class model as well. Bluetooth is supported in the current 5.0 standard. Global LTE standards, including Volume 20, ensure high-speed data connections in the mobile network. The same applies to WLAN, which also uses the fast 802.11ac protocol. The attractive overall package is rounded off by a 4000 mAh battery, which offers a battery life of many hours due to power-saving components. Location services can be used without restrictions with GPS, GLONASS and Beidou. Einfach nur der Hammer ! Einfach nur der Hammer ! 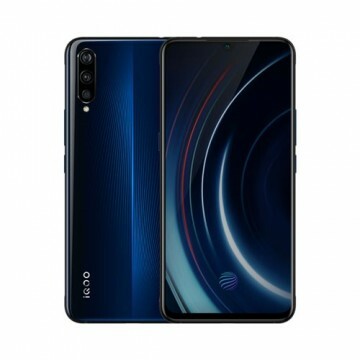 Ich wollte das Vivo Nex A unbedingt nach Deutschland bekommen, doch war erst skeptisch gegenüber einem China Import, da ich das noch nie gemacht habe. Doch es hat einfach besser funktioniert als ich mir je erträumt hätte. Der Service war einwandfrei, wurde jedesmal per E-Mail informiert, wenn mein Paket eine Station weiter gekommen ist und konnte über die Tracking Funktion es jederzeit zurückverfolgen.Das Produkt ist genauso wie beschrieben und jeder der kein normales Smartphone haben möchte, dass jeder zweite hat. Und etwas extravagantes haben möchte, ist damit bestens bedient. Es sieht in der Realität doch um einiges besser aus als im Web.Anlässlich der Weihnachtszeit gab es noch eine nette Weihnachtskarte und ein kleines Gadget noch aufs Haus. Was ich noch nie bei einem Shop gesehen habe.Für mich ist TradingShenzen um einiges besser als die meisten Stores aus Deutschland.Kann es nur jedem Empfehlen !!! VIVO NEX A - 8GB/128GB Sehr gutes Smartphone und schneller Versand von tradingshenzhen. Good Job. Good vivo smartphone. Love the fingerprint in display. Bei uns noch nicht, bisher nur Chian Version. Doch wir versuchen gerade die Global zu bekommen. Notify me when the VIVO NEX A - 8GB/128GB - Snapdragon 710 drops in price.